Stripping paint away from a surface often takes forever. The traditional method is to use a chemical paint remover but that would be messy and doesn’t really simplify the process. Chemical products are also harmful to the environment and the health. You can also just peel it off with a sharp material but that will inflict a lot of damage to the surface you are working on. What if you are restoring some antique furniture, right? The best solution is to use a heat gun. What this does is apply heat on the paint so that you can easily remove it with no mess and no damage to the material underneath the paint layer. With the help of a heat gun, you can remove old and unsightly paint away from surfaces as if they were never applied to begin with. But before you can do that, you need to get yourself a heavy-duty heat gun. There are so many of these products out there so when you venture out to buy one for yourself, you just might find yourself overwhelmed with your vast number of choices. 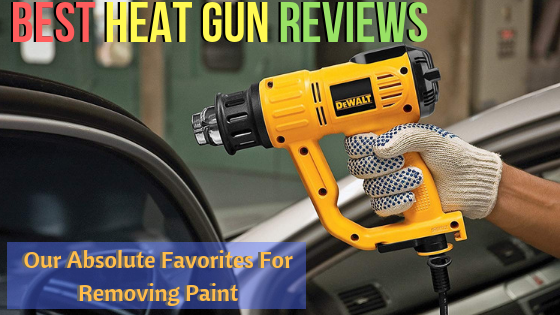 To help you out, we looked for heat guns based from their reviews, performance, durability and features and picked the best ones. Every serious home improvement enthusiast needs to have a reliable heavy duty gun. This one fits the bill. It’s not too expensive and not too complicated to use, great for all sorts of users, professionals or non-professionals. It is a well-thought-out product with useful features. We like how the manufacturer went out of their way to ensure that accidents are unlikely to happen with the use of this tool. It has a temperature adjustment system that you can see with its considerably-sized LCD display. But what is remarkable about its temperature adjustment is that it comes with 50-degree increments until you reach a maximum of 1100 degrees Fahrenheit. It eliminates the possibility of increasing the temperature too much. You can get overload protection with this product. If it detects an overload in the system, it automatically shuts off the heating system. It’s easy to use. There’s a kickstand that you can use to prop the product upright. There are also plenty of accessories that come with it. You get 12 different accessories that you can use for peeling off paint that you have heated up. Many customers also like how ergonomic it feels. It doesn’t feel awkward to use. The grip is comfortable, and the entire hand gun doesn’t weigh too much. It’s also compact, so it’s not a problem to store. This product comes with a 3-year limited warranty. If you encounter issues with its parts and mechanisms, you can get the manufacturing company to repair or replace it. Many customers like how solidly-built it feels. While the heat gun itself is made from plastic material, it is a heavy-duty one, so it is unlikely to get damaged easily. Some users would have preferred this to display temperature in Celsius as well instead of just Fahrenheit. There were also a few comments about how this can take a bit of time to heat up. There is no cool down function as well so if you are looking for one with this feature, you might find this lacking. We recommend investing on this heat gun if you are working on bigger projects. 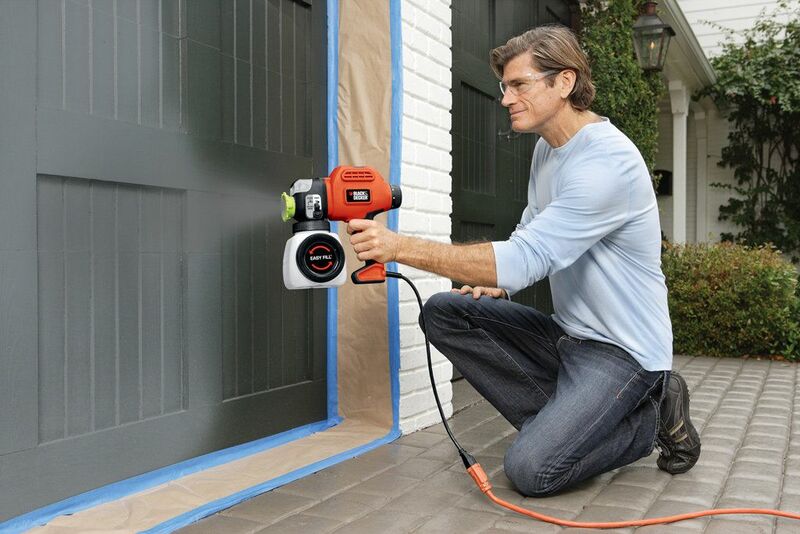 It has industrial heating capacity, perfect for those projects that will require you to use heat guns longer. Contractors and even homeowners who need to do a lot of work at home will find this a great addition to their tools. This product performs well, thanks to its industry-grade parts and functions. You can really get a lot of power from it so if you are looking for one that you can rely on for a long time, this is a perfect choice. If you are working on bigger projects where you have to remove paint fast, this is a good tool. Its 120V of power allows it to expel 23 CFM of heat. It does more than just heat up paint. You can use this for a variety of purposes such as thaw pipes that have been frozen solid, get rid of fiberglass dents and shrink materials like vinyl. It heats up really fast. Other heat guns may require a few more seconds or minutes to completely heat up but this one works without a long waiting time. It comes with a lot of attachments as well. Users said the attachments fit well and they did not have issues with the attachments being too loose. One of its best features is its flat back. You can let it “sit” and just set it to cool mode if you need to work on something else but don’t want to completely turn it off. Many customers also like how well-built this is. They like how the heat gun itself feels solid. They didn’t have to worry about parts falling. If you need to replace parts, you can easily find a replacement for it. Some users said this is a bit heavy. It might induce shoulder and hand strain after prolonged usage. It’s pricey for someone who is on a tight budget. If you are looking for a heat gun for simple DIY or paint removal projects, get this. It has an accessible price that hobbyists as well as contractors will find ideal. It’s not for more intensive and rigorous projects but if you only need it for small paint removal jobs, you should find it a good choice. This heat gun is reliable. The heat it produces is even and comes in two different heat settings. It has been incorporated with a feature called DuraTherm, which allows it to produce even heat without taxing the mechanisms of the product. It’s not difficult to use or hold. The design seems to be ergonomic and doesn’t cause hand fatigue. You can use it for a variety of small jobs like bending PVC or plastic materials, softening paint, tinting your windows, shrink wrapping and many more. It also comes with a lot of accessories, so you can get different jobs done with the right attachments. The heat gun feels solidly built. Even the industrial grade rubber power cord is durable. Customers also like how this is easy to control. You can easily direct the heat as it doesn’t spread out fast. This is why it is a perfect choice for smaller projects where you might need the heat to be a little more contained. Many users have had this heat gun for years. Even with frequent usage, it still lasted for a long time. Users also did not experience too much airflow with this gun. The heat settings might not be enough. Since there are only 3 options to choose from, some users might find it inadequate. We picked these products based on different needs for performance and power. 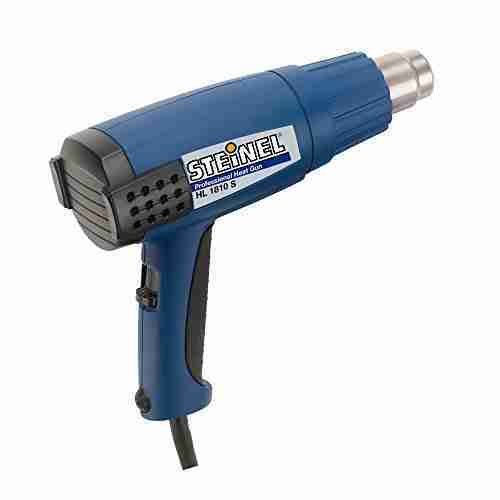 We suggest getting the Steinel HL 1810 S General-Purpose Heat Gun for small projects. It’s also a great tool for people in the business of doing home painting, restorations or those people who just require an easy-to-use heating tool for their small projects. It’s not the most powerful tool out there so if you plan on doing major work on your house, you might spend a lot of time using this. Master Appliance HG-751B Professional Heavy Duty Heat Gun’s industrial-level heating prowess makes this more suitable for bigger projects. We recommend you get this if you are serious about doing paint jobs or you need to work on removing paint in multiple parts of your home. It will last for a long time given its industrial and commercial properties but even if you will only use this occasionally, it will still be a good fit. It stores nicely and comes with various attachments for small to big projects. 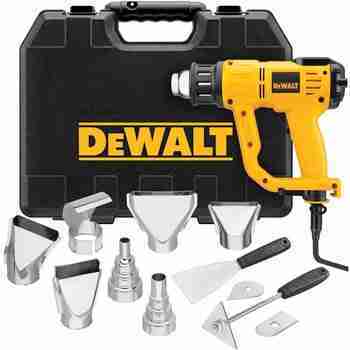 Dewalt D26960K Heavy Duty Heat Gun is somewhere in the middle when it comes to price and performance. It can be relied on even for bigger projects but it’s also just as reliable for smaller ones. It’s also a long-lasting heat gun so it will be in your possession for a long time. The incremental increase in temperature offers more flexibility so you can get the right heat for your specific needs. There’s a reason why some heat guns are more expensive than others. Cheaper heat guns tend to have replaceable cartridges and cheap motor windings so frequent use can take a toll on these parts. Replacing these parts can cost you more money than the actual heat gun itself. This is why it’s better to just fork out the few extra bucks for something with better heating capacity, with adjustable heat settings and with superior parts that will last you for a long time. Is There a Safety Feature? Heat guns are dangerous tools. You make the wrong move and it will burn your skin. It’s important to be careful when using but you would also want to buy a heat gun with safety features to reduce the likelihood of accidents. Make sure there are safety features that will prevent the product from overheating. Not all heat guns come with a cooling function as well. This will come handy when resting the tool aside while you do other things. The cooling feature will prevent the heat gun nozzle from staying hot while it’s idle. Flat back, kickstand, standby receptacle – these are all nifty features that will help you use the heat gun easily and keep it away from surfaces that might get damaged or start a fire when they accidentally get in contact with the heat gun. Look for these features when inspecting the heat gun. When you are working on a bigger project, say multiple rooms or your home’s entire siding, you don’t want to use a heat gun that can cause hand fatigue easily. You would want to continuously do your job without pausing every few minutes to rest your hands. Look for ergonomic features such as a switch that you can easily reach with your thumb or rubberized grip for easier usage. Make sure the cord also isn’t getting in the way when you are working and that the parts remain intact. You don’t want to pause every now and then to tighten accessories. Many heat guns come in kits. 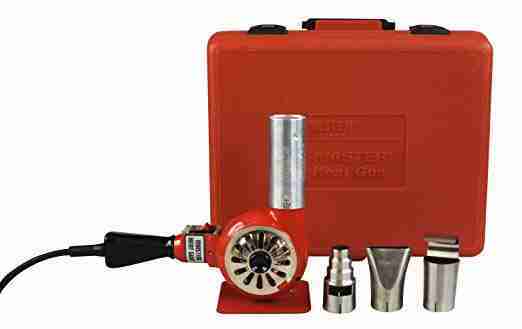 Buy these kits rather than the individual heat guns if you are looking for attachments that you can use for a variety of projects. The attachment nozzles can come in different shapes and sizes, so you can control the flow of air blowing out of the heat gun. Also check if the kit comes with scrapes that you can use to remove material on surfaces. Check to see if it comes with its own hardcase. Some heat guns might only come with a bag. A hardcase would be better as it will protect the handgun from damages and will prevent you from misplacing the accessories. Have you decided which product to add to your home improvement repertoire? Don’t forget to click on the links of the products and learn more about their features and what people are saying about them. If you are looking for more heat guns or painting-related products, don’t hesitate to check out our homepage.